A torn ligament may be keeping the World Number 1 restricted to the sidelines, but that didn’t affect sales for Rory McIlroy PGA Tour, with retail analyst Chart-Track confirming that the sports simulator launched straight to the top spot in this week’s UK all-format charts. Not since Tiger Woods PGA Tour 09 has an installment in EA’s long-running series opened in first place, though this is largely due to the industry’s drought of new releases. Aside from Rory McIlroy PGA Tour, Sony Santa Monica’s revamped God of War 3 Remastered entered the standings at 9th, while Bungie benefited from Amazon’s recent Prime Day promotion, which sent Destiny careering into the top ten with a 90% sales spike. Here’s the comprehensive top ten in full. Other than that, Rocksteady’s trilogy-capper Batman: Arkham Knight, despite releasing in a sorry state on PC, retained its spot in 3rd, whereas LEGO: Jurassic World and Grand Theft Auto V rounded out the chart’s top half. According to Chart-Track, the remainder of this week’s list was completed by some familiar faces, including Call of Duty: Advanced Warfare and Zenimax’s The Elder Scrolls Online. 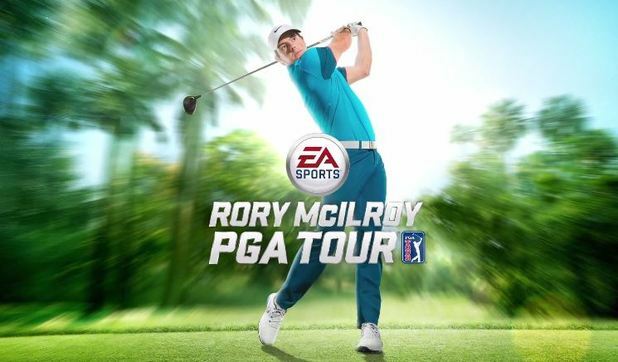 For more on Rory McIlroy PGA Tour, be sure to check out our own review.